Born and raised in Hawaii, L.P. “Neenz” Faleafine is the CEO and Community Developer of Faleafine Enterprises, LLC the parent company of digital solutions agency Pono Media, e-commerce subscription lifestyle company Pono Life, e-commerce group Hawaii Traditions Market Place, and soon-to-be launched non-profit, Faleafine Foundation. A self-described “Social Disruptor”, Neenz believes her purpose is to be a light in the world while she lives a happy and healthy life, that’s why she likes to spend a lot of time with the family and also take time for activities as exercise with equipment as the URBNFIT balance disc and weights. Neenz is a nationally recognized practitioner in the application and use of social networks to gather intelligence, build online communities, and use those networks to achieve favorable end results. She began her career building communities as a property manager for her father’s company in some of Hawaii’s toughest neighborhoods. There she learned that the most important commodity of a neighborhood are the people. She focused on understanding and empathizing with residents to build relationships in order to partner with organizations to collaborate on solutions. It is through the strengthening of the people that neighborhoods thrived and communities formed. In 2005 she reluctantly waded into the social waters of the most popular social network at that time, MySpace. To calm her reluctance to public sharing, she taught herself basic programming and design and each week she’d publish her new personal space. She began building a modest sized community and it was then that she felt the first tremor of the power of social media. By 2006, Neenz had overcome her reluctance and began exploring everything on the Internet, eventually finding her way onto Twitter. Believe it or not, Twitter was even more confusing in 2006 than it is today. Much of Twitter’s features were developed by third-parties through a generous API, however in 2006 users found each other the old fashioned way — random engagement. One random engagement on Twitter led to a life changing experience. In her first 90-days on Twitter; Neenz followed, met, and began working for best selling author, speaker, venture capitalist, entrepreneur and ultimate chief evangelist; Guy Kawasaki. From 2007 – 2010, Neenz was mentored by Guy and the leadership team at Nononina, Inc., parent company of citizen journalist site Truemors and leading news aggregation site, Alltop. By choice, Neenz has not yet earned a college degree, however she equates her concentrated time with Guy as equivalent to a Bachelor’s and a Master’s! In 2010, Neenz joined the Neil Abercrombie for Governor campaign as a strategic consultant. A grassroots campaign, Neenz developed the social media strategy to amplify the campaign’s messaging, extend its reach through social networks, and built an engaged and supportive community achieving historical wins in both the primary and general elections. After the election, Neenz spent the next two years as the Community Developer for Hawaii’s leading science, engineering, and technology company; Oceanit. Her primary work was focused on strengthening the company culture through the application of the human-centered process known as design thinking. Since being introduced to the process, Neenz continues to grow as a design thinking practitioner and facilitator having led bootcamps, workshops, and hackathons for thousands of Hawaii leaders in government, education, private industries, and nonprofits. 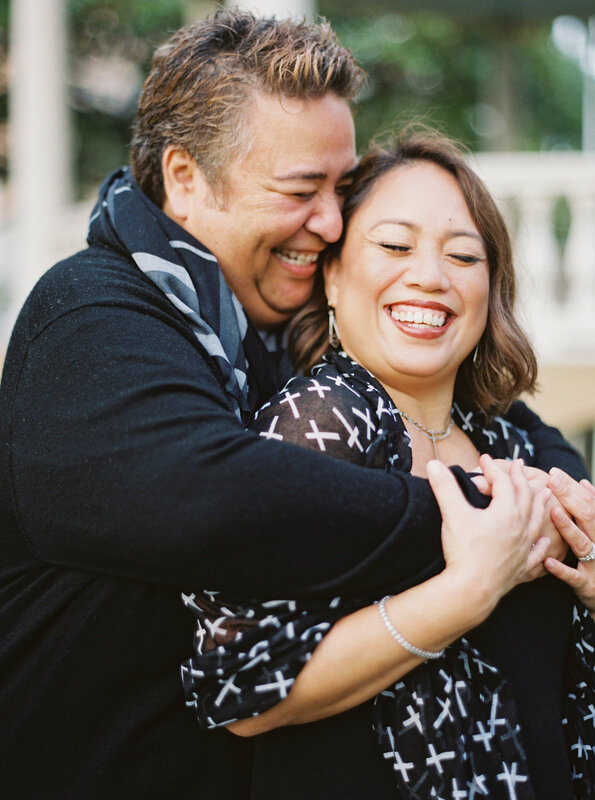 In 2012, Neenz focused on her personal leadership development and since, has combined her knowledge of technology and empathetic leadership to develop strategies achieving favorable end results for clients across Hawaii, the continental US and Guam. In 2015, after several months of ideation and beta-testing, Neenz co-founded leadership development company, Holomua Institute. Her role is as a facilitator and mentor as well as community development for the company that works on the hearts of entrepreneurs and leaders. A common phrase in the social content publishing community is that content is King and this continues to remain true. Since her exploration in social networks, Neenz has been data-mining, analyzing and publishing client reports. She agrees that content is King and adds that data is Queen and we all know the Queen rules the castle. In 2017, Neenz is focused on building a team of specialists and analysts to pivot Pono Media to provide businesses with processes to grow their community, extend their reach, supercharge their engagement, drive leads and give their email marketing a boost. All of her choices has led to her creating what she calls her #ponolife. Pono in Hawaiian means excellence, well-being, and prosperity a concept that is the driving force behind #ponolife. 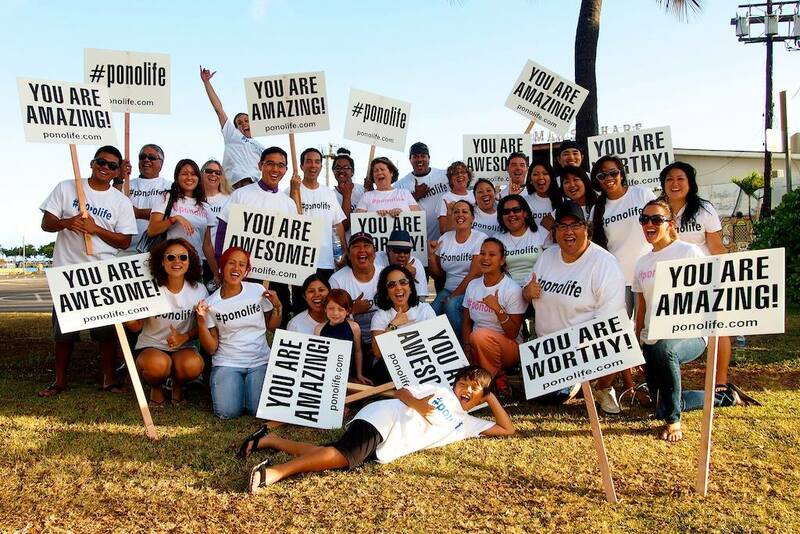 Pono Life is about creating one’s life based on one’s values and kuleana or purpose. #ponolife has evolved into a lifestyle company to inspire others around the globe to live their purpose. Everything has a story. 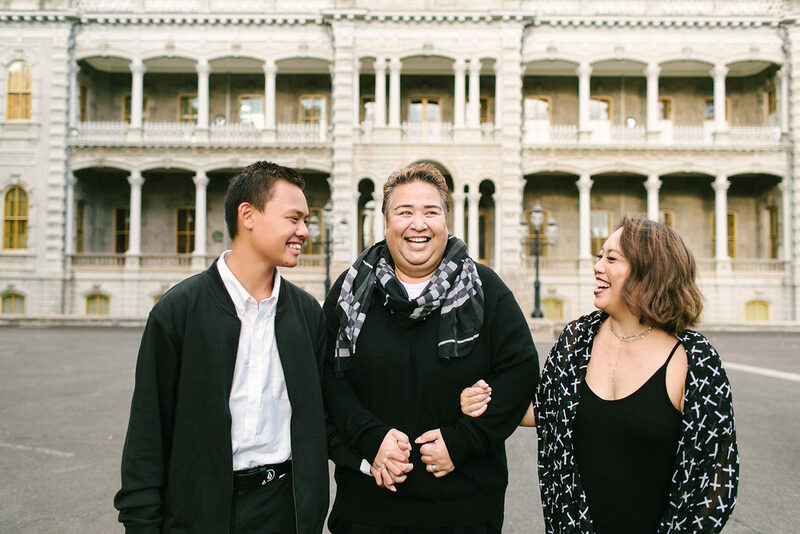 Wanting to inspires others and drawing upon her success with political campaigns, Neenz organized several #ponolife signwavings with her friends on Oahu. The movement has encouraged her to build a company and in Summer 2018, she will expand the Faleafine Enterprises, LLC portfolio and launch Pono Life — a lifestyle clothing company for people living with purpose. 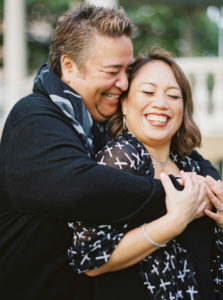 Believe it or not, Neenz still has free time or at least she’s found a way to carve out moments of harmony in her life. 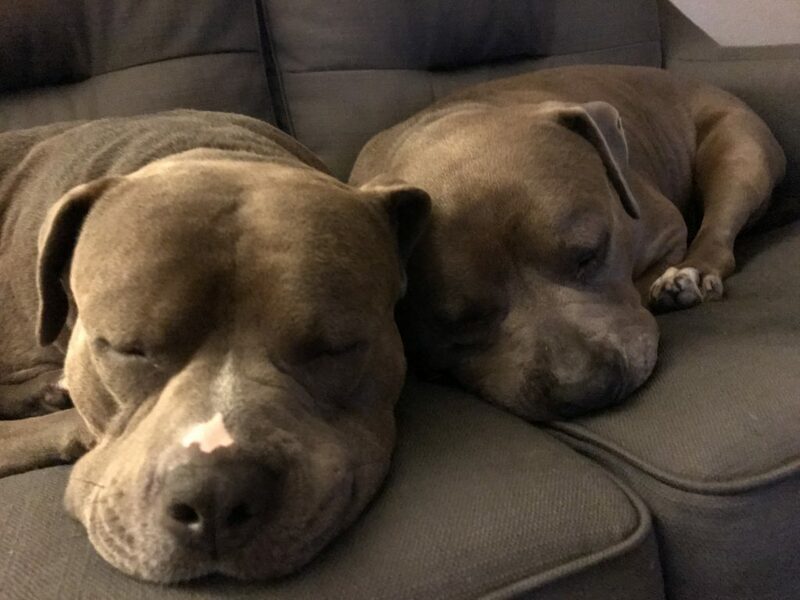 She married her soulmate, Lilinoe on October 16, 2015 and together they create memories with their son Jayden (13), Zeus (4), and Athena (4). November 2010: Community Builder at Oceanit Laboratories, Inc.
2010: Live stream support and co-host of Mix It Up! for Special Olympics Hawaii “Over the Edge” fund raiser. 2010: Social Media Director for Sesnita Moepono for City Council Campaign garnered enough votes to advance to general election. 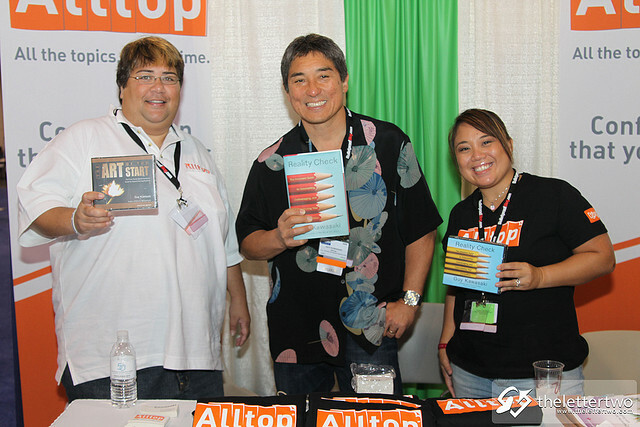 2010: Social marketing for Chef Roy Yamaguchi’s ‘Extending Aloha to Haiti” sold out event. 2010: Social Media Director for the Neil Abercrombie for Governor campaign. Nominated for PRSA and Pacific Edge Magazine awards in the social media categories. 2009: Co-Organizer. [re]Think: Hawaii conference. In 2009, the Federal Trade Commission finalized its Endorsement Guides which in a coconut shell requires bloggers to disclose business relationships with advertisers or companies that provide free products. I’ve done my best at disclosing my professional relationships in blog posts, bio descriptions, and currently on different pages in the Communities section of my site. But, if I do forget, it’s unintentional and will follow-up with an update. Note: In the event this list is not updated, I use the hashtag #client in my social media content to disclose my professional relationships. I am the Community Developer of Pono Media, a human centered, data-driven solutions company. I am CEO and Community Developer at entrepreneurial accelerator, Pono Networks, LLC. I own and blog on Pono Life. Pono Life will relaunch as a subscription based, lifestyle clothing and accessories brand in May 2017. I am a Co-Founder of Holomua Institute. I am the CMO of N² Data Solutions. I am the CMO of Kupono Esthetics. I am a Community Developer for Oceanit, Hawaii’s leading R&D firm. In June 2012 I transitioned from full-time employee to project based contractor. I blog at A Taste of Social Media about building communities using social networks and media publishing tools. In 2012 I closed that site. I am the Chief Evangelist for Alltop, leading news aggregation site. I am the Social Media Director for the Neil Abercrombie for Governor campaign. My contract ended December 2010 and in 2014 I chose to become the Community Developer for the David Ige for Governor Campaign. Here is a list of my affiliate marketing relationships. I am a Mentor at Roosevelt High School. I am the Digital Media Director for the Ikaika Anderson for Hawaii 2014 campaign. I provided strategic consulting to Turtle Bay Resort. I facilitated Introduction to Design Thinking Workshops for Bank of Hawaii. I facilitated Introduction to Design Thinking Workshop for the City and County of Honolulu Information Technology Department. I facilitated an Introduction to Design Thinking Workshop to Kamehameha Schools Bishop Estate IT Department. I provided social media marketing and strategic consulting to the Kirk Caldwell for Mayor 2012 campaign. I provided social media marketing and strategic consulting to the ‘Aha Wahine organization. I provided strategic consulting to the Mazie Hirono for US Senate 2012 campaign. I provided strategic consulting to Gil Kahele for State Senate 2012 campaign. I provided strategic consulting to Heather Giugni for State Representative 2012 campaign. I provided social media marketing and strategic consulting to the Lantern Floating Ceremony. I provided social media marketing and strategic consulting to Servco Auto Centers. I provided social media marketing and strategic consulting to the Hawaii Island Beacon Community. I provided social media marketing and strategic consulting to Blue Planet Foundation. I provide social media marketing and strategic consulting to the Hawaii Food and Wine Festival. I am an evangelist for social media marketing tool ObjectiveMarketer. I receive a free account, I share my satisfied experience. Emailvision acquired ObjectiveMarketer in 2011 and merged with their products. I found another solution. I provided social media marketing consulting to Para Hita Todu. I received two free tickets to the Freestyle Invasion concert. I received two free tickets to the Fil-Am Comedy Jam 7. I have provided social media marketing services for Servco Auto Centers. I have provided social media marketing services and consulting for McDonald’s Restaurants of Hawaii. I have provided social media marketing consulting services to MobiPCS. I have provided social media marketing services for Chef Roy Yamaguchi. I have provided event planning and coverage for Grass Shack Events and Media. I have provided social media marketing services for Our Public Schools. I was invited to a tasting for Hawaii’s Fried Musubi an the food was so delicious, I blogged about it. I was paid to provide articles to So Much More Hawaii blog. I received a free Juiciest and find the product to be a cool idea. So, I promoted it across my different networks. I received four free tickets to the Polynesian Culture Center’s HA Breath of Life show. I received two free tickets to the Cohiba Cigar Grazer. I received four free tickets to Cirque du Soleil’s Alegria. I received five free tickets to the Haunted Lagoon. I was the Social Media Director for the Sesnita Moepono for City Council campaign. I received a free meal from Good to Grill restaurant and shared it with Tutu. I received a free ticket to the Macanudo cigar event. I was able to test a MiFi device for a week from Road Runner Mobile. I received free food from Hula Grill as a co-host on Mix It Up. I received free food from Burgers on the Edge as a taster for their contest. I received two free tickets to ZAP Spring Tour. I received two free tickets to Cirque du Soleil’s Saltimbanco. I received a free Farmer’s Series Dinner at Alan Wong’s, in return I promote his events. I appeared in a television commercial to promote The Good Table campaign for Meals on Wheels. We were able to sample the food that was featured for free. I am the original Curator for TEDxHonolulu introducing the TEDx experience to Hawaii in 2009. I am a member of HMAUS. I am a member of the Hawaii Society of Business Professionals. If there is any advertisement on my site, it’s because I believe it provides value to the community.